TSU students will have the exciting opportunity to spend two weeks in China during the summer to develop their language skills and learn firsthand about Chinese culture. Participants will spend one week in Beijing at Beijing Jiaotong University—one of China’s premier universities—studying Chinese and visiting cultural sites in Beijing; participants will then travel by high-speed rail to Shanghai for several days, and then return to Beijing. Students who wish to receive credit can, on successful completion of the program, receive three or six university credits at TSU. Most in-country costs will be supported by Beijing Jiaotong University, and the TSU China Institute will provide additional financial support. 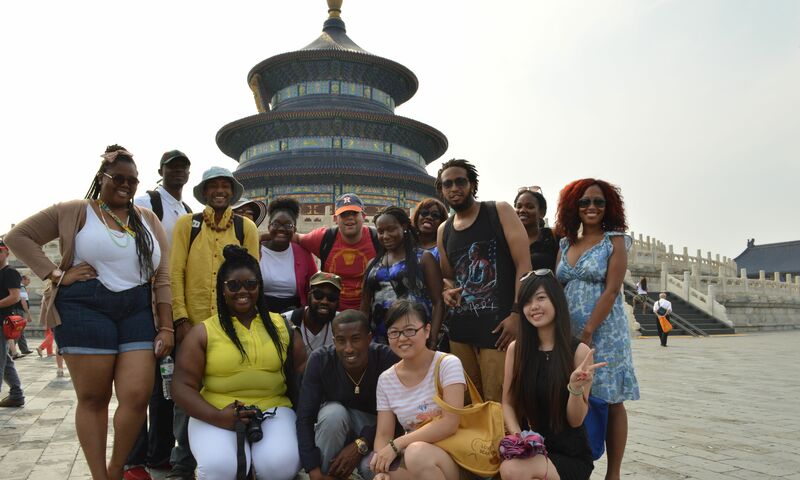 In order to be eligible for the trip, students should take at least one semester of Chinese language through the TSU Department of Foreign Languages, or, in the alternative, sign up for a China Institute Continuing Education course in spring 2019. Further details about the application procedures are given below. Please note that some of the information provided here is tentative and may be subject to change. Please bookmark this page and in the future check here for updates. 1 5/16 Depart from Houston, 1:00 A.M.
Students who wish to receive TSU university credit may sign up for either one or two TSU courses offered in Summer Session 1, namely “Chinese” (3 credits), “Topics in World History” (3 credits), or both. Upon successful completion of these courses, students will receive TSU university credit. Roundtrip airfare, PRC visa fees, approximately $3000. The TSU China Institute will provide additional financial support, including some merit-based scholarships to qualified students. Good standing: Participants must be in good standing at TSU. China Institute courses: To be eligible for this program, students must have taken at least one course offered through the TSU China Institute prior to our summer departure for China. These courses include Chinese language courses (Chinese 131 and Chinese 132). In the alternative, students who have not yet taken one of the above TSU China Institute courses may still sign up for a China Institute course that will be offered in spring 2019 through Continuing Education. For information on our courses, please visit our webpage Courses for Spring 2019; details about the Continuing Education course will be available in February 2019. Please also feel free to contact China Institute staff. Current transcript from TSU including courses in progress (unofficial copies are acceptable). Personal statement (1–2 pages) addressing the following: : (i) your motivations for joining the program and your potential contributions; (ii) your long term career goals; (iii) any experiences traveling abroad (and to China or East Asia in particular); and (iv) your Chinese language proficiency and background. Resume or CV including education, work history, volunteer history, community service, etc. Two recommendations, mailed or emailed directly to the China Institute (please use the recommendation form on page 2 of the application form). At least one recommender must be a TSU faculty member. January 20, 2019: $200 trip deposite is due. March , 2019:Second Deposit Due. April, 2019: Trip Meetings . May 2, 2019: Trip Payments are due in full..